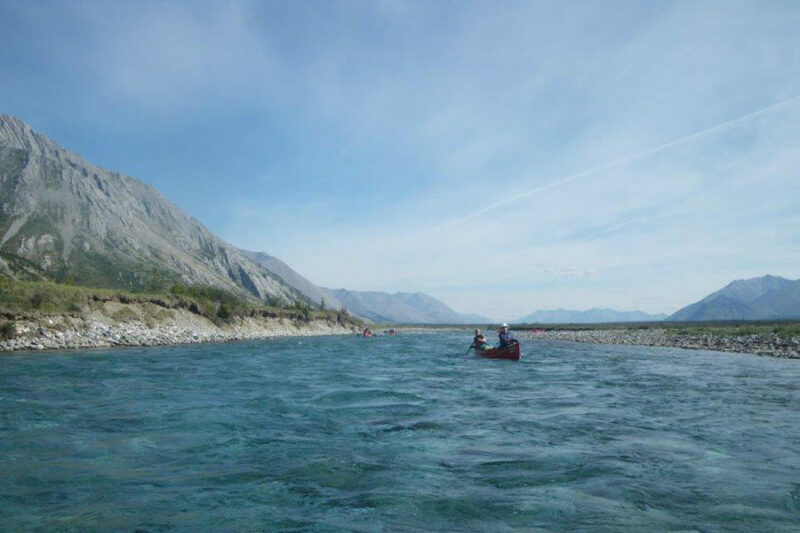 Join us for a 13-day canoe expedition on the Wind River in the Yukon. 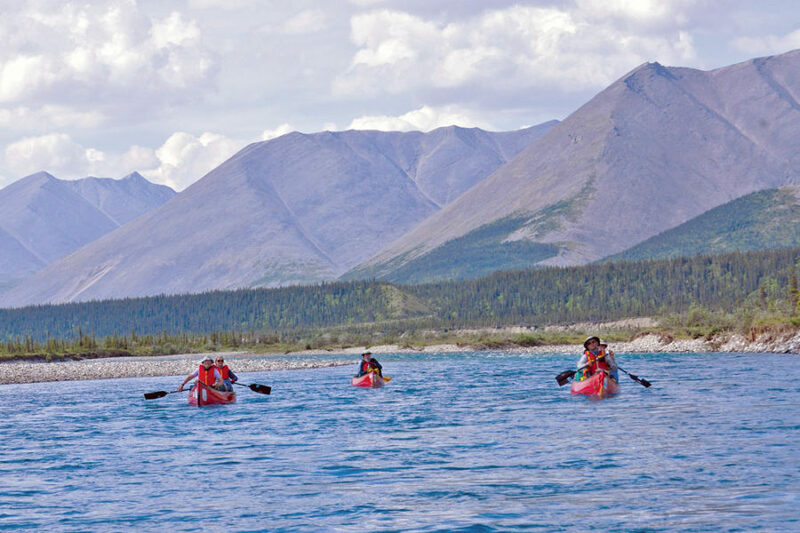 The Wind River is an arctic mountain river and is renowned for its tremendous hiking and “friendly” whitewater flows, ideal for the intermediate canoeist. 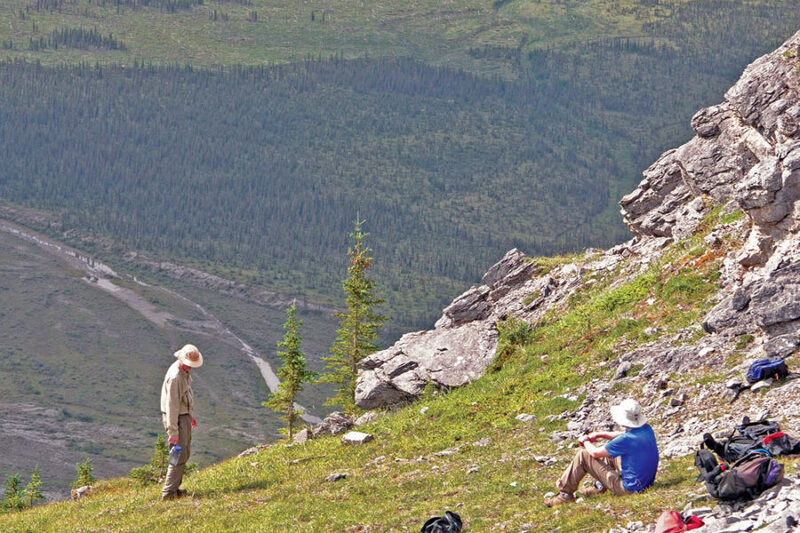 Paralleling the border of the Yukon and Northwest Territories, the Wind is one of those remote northern rivers that offers superb mountain hiking. We travel in two-person canoes over 12 river days from McClusky Lake to the confluence with the Peel River, a full 280 kilometres (165 miles) with an elevation drop of 800 meters (2400 feet). 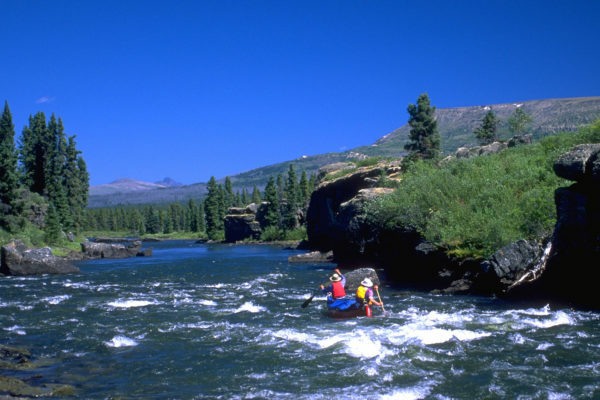 Prerequisites: Introductory whitewater training. If unsure of your ability, please call with any questions: 1-800-297-6927 or (867)-668-3180. Please be in Whitehorse in time for an orientation meeting at the High Country Inn at 8 p.m. Participants are responsible for hotels and meals while in Whitehorse. Whitehorse is a great place to spend a few extra days. We’ll send you a visitor’s guide. The historic sites are fascinating and there are local day hikes, gold panning float trips through Miles Canyon, 4×4 outings in the region. And countless other things to see and do. We’ll meet in the hotel lobby at 7:30 a.m. following breakfast (not included) to discuss final details before our departure. Travelling by van, we’ll make the scenic 5-hour drive to the town of Mayo. Here we will transfer to a floatplane and fly 217 kilometres (135 miles) into McClusky Lake. 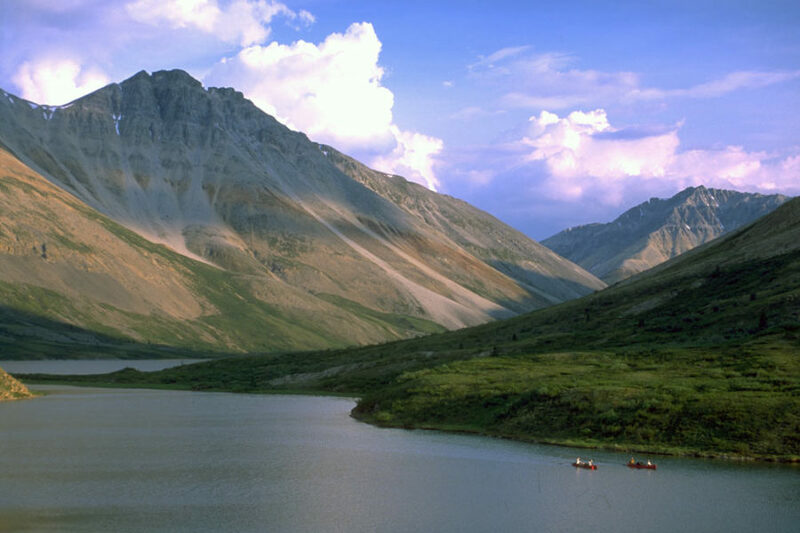 This is truly a spectacular and remote part of the Yukon wilderness! Have your camera handy for the flight. 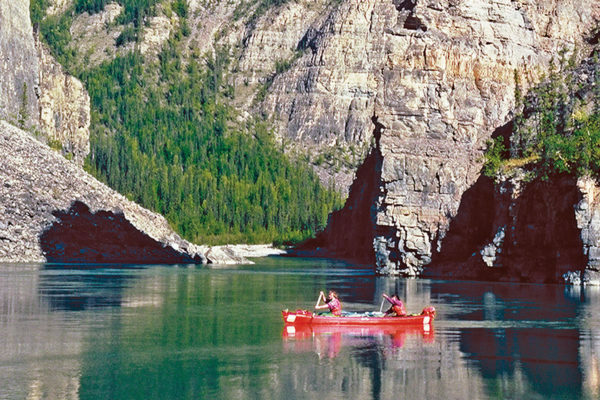 Unwinding from the days of travel, we’ll review paddling skills on the beautiful lake bordered on all sides by majestic peaks and arctic grayling breaking the surface. After a short portage, afternoon will find us lining, wading and paddling McClusky Creek to the junction with the Wind River. Neoprene booties with tough soles or sneakers will pay off here. Camp will be in the area of Nash Creek. The Wind is a relatively wide mountain valley allowing “big sky” views along with the burnished grey mountains peaks unique to the range. Today’s paddle will be a good chance to spot caribou, sheep and grizzly. Camp will be downstream of Bond Creek. 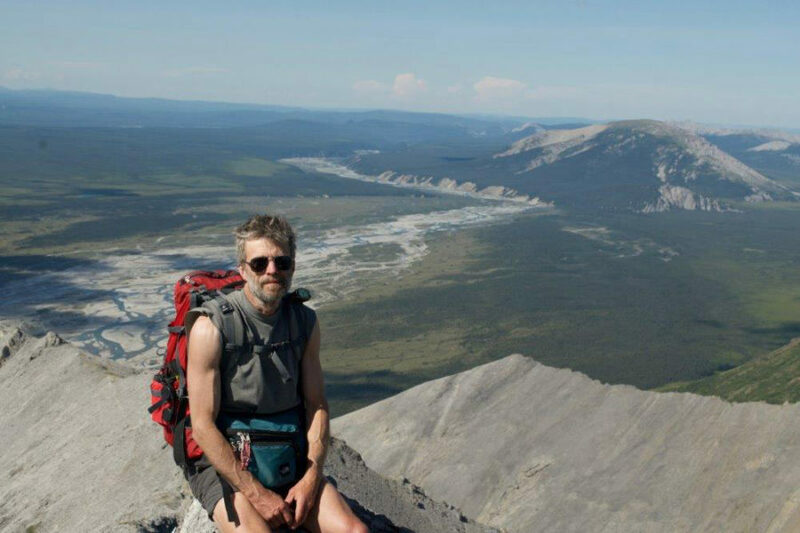 Once again, the easy ridges in the area will lure us on a day hike with tremendous views, wildlife and alpine flowers. This stretch is one of the visual highlights. Continuing downstream past Bear Creek we’ll enjoy majestic views of Royal Mountain. Our paddling is rewarded by another day of ridge tops and alpine skylines that stretch across the horizon overlooking Royal Mountain and Royal Creek. Keen eyes will spot Dall sheep among the crags. Back on the river the swift moving water will sweep us past the tail of the chain of mountains we’ve been travelling through. Individual peaks will continue to dominate the horizon. 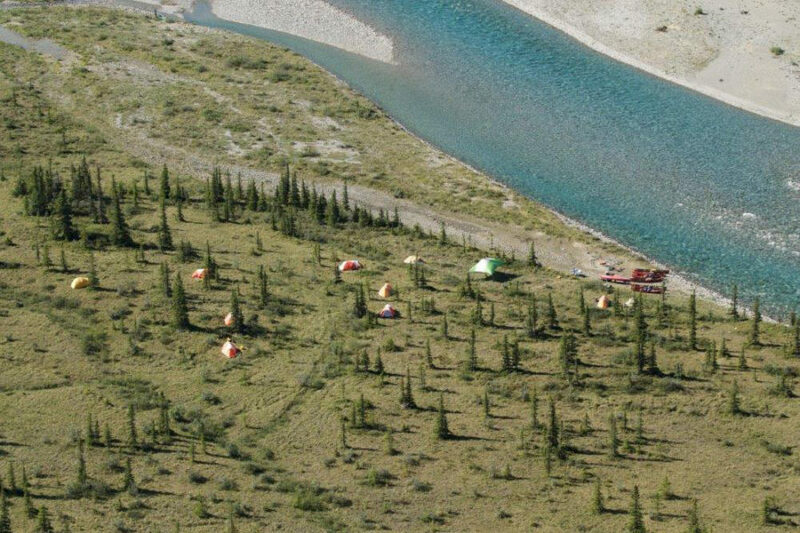 Moose sightings are possible and camp will be upstream of Prongs Creek with views of the Illtyd Range. 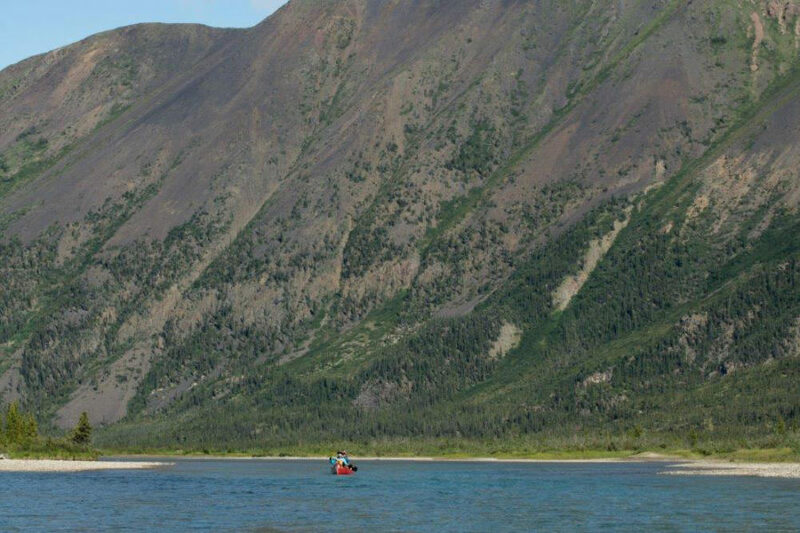 Paddling towards Mount Deslauriers, we’ll pass Little Wind River of the Lost Patrol Fame (a definite campfire story!) Camp will be in view of Mount Deception near Hungry Creek. A spectacular ridge walk on Mount Deception will reward us with views north to the Richardson Mountains (weather permitting). The strong current will accompany us to our camp on the Lower Wind. Higher cliffs cut by numerous small creeks provide numerous wildlife corridors. Here we’ll be in the vicinity of Wind City. No longer in existence, it was the wintering place of an ill- fated group of gold seekers on route to the Klondike in 1898. Arriving at the Peel River, we’ll pass the confluence with the Bonnet Plume. The Peel River Canyon will be a highlight with spectacular vertical walls and standing waves of Class II and III whitewater. 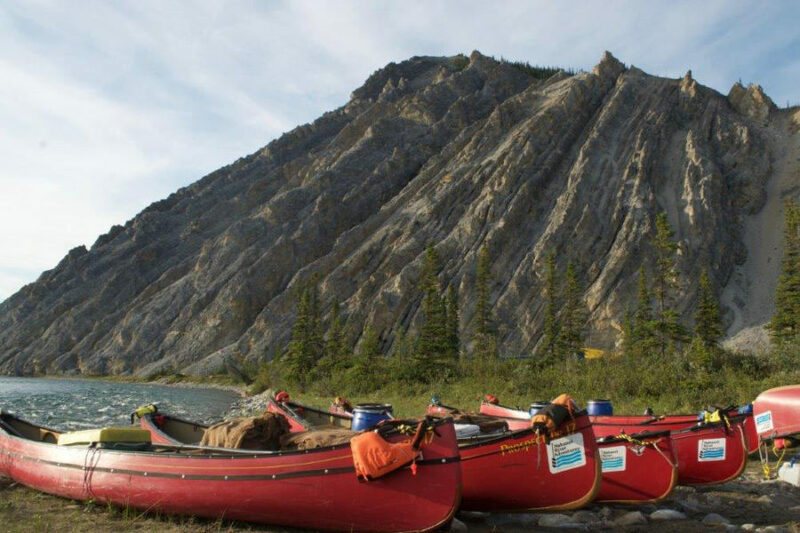 Camp will be approximately 70 kilometres (45 miles) downstream of the canyon at Taco Bar. In the morning we’ll be met by the aircraft that will takeus back to Mayo. There we’ll be met by our van and travel the Klondike Highway back to Whitehorse. Depending on timing, the group may decide to stop for supper at a diner along the way or upon arrival in Whitehorse (supper and hotel not included). 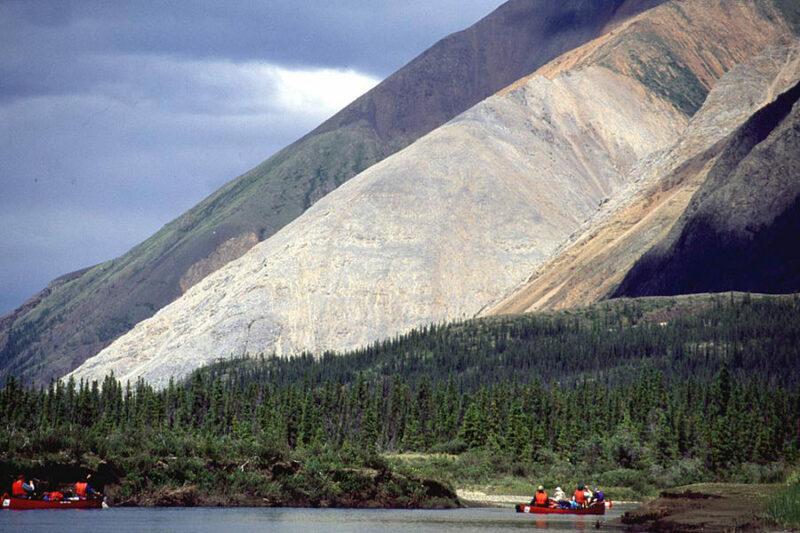 Camp will be in your hotel room in Whitehorse (your responsibility). If you have not eaten on the road, the group will likely want to gather at a local eatery (not included) to celebrate the return and recount tales of the adventure! After goodbyes and a last look around Whitehorse we’ll head home with a cargo of fond memories and lots of pictures of our river adventure. From day 1’s moose sighting on McClusky Lake to Day 12’s elk herd sighting on the highway, it was a spectacular trip. The Wind River lulled me into a dream like state. Watching the clear water flow over multicolored pebble bottoms and listening to the babble of many shallow braids. It was at once, exciting, calming and I look forward to seeing it all again one day. The Wind River trip exceeded my expectations. 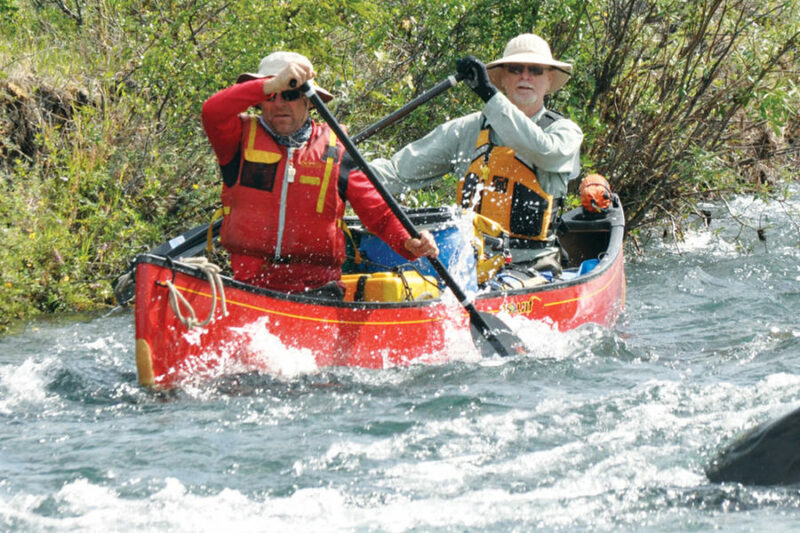 The landscape is both intimate & grand; the flora is packed with beautiful wild flowers, shrubs & tress; the birding & large mammals first rate, and the paddling is technically challenging. A superb trip in everyway! 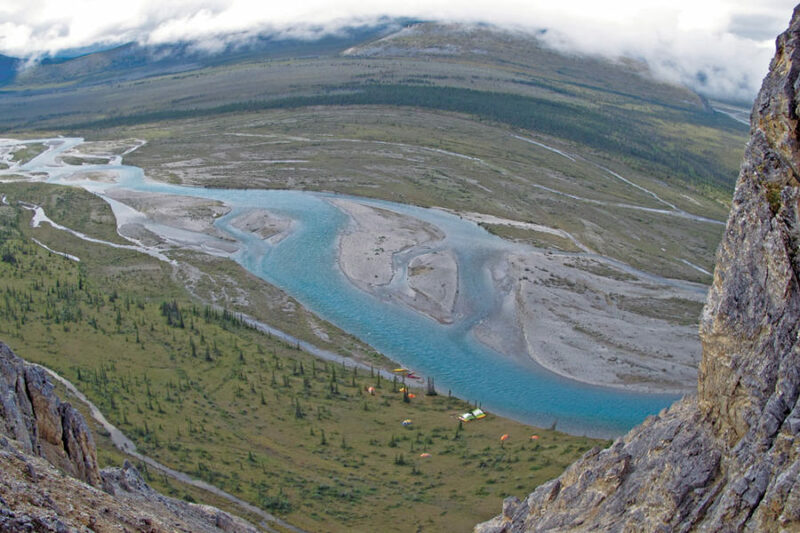 My third expedition with Nahanni. All have been wonderful experiences!